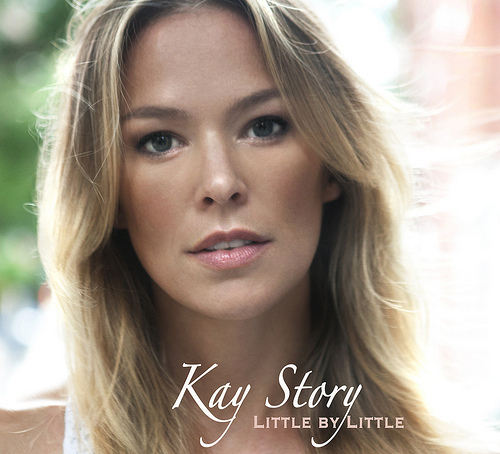 Kay Story is a born performer that has hit her stride as a songwriter, penning tunes that are reminiscent of country pop stars such as Carrie Underwood, Colbie Caillat, and Sugarland. She began her musical career dancing and singing on Broadway, and has since toured with rock sensation The Trans-Siberian Orchestra. Kay was then courted with development deals by Atlantic Records and Universal Records. A deal with W Management (Sheryl Crow, Antigone Rising) led Kay to Nashville, TN where for two years she honed her skills as a songwriter, co-writing with some of Music City’s best. Her latest album, “Little by Little” produced by gold-record producer Jon Gordon includes songs that have garnered awards from the Unisong International songwriting competition and the Songwriters Hall of Fame.